I just saw on Facebook that a resume writing colleague had been quoted in an article in a major business magazine. She said she was alerted to it when she saw traffic on her Google Analytics report. But Google has an even better tool for letting you know when your name is in the news -- and it's free. 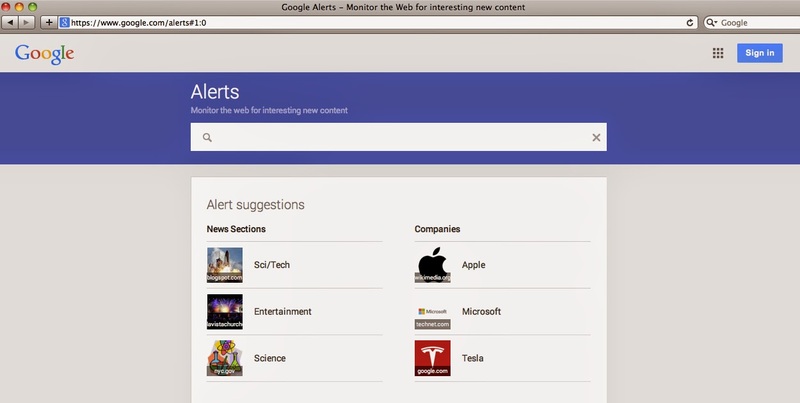 Google Alert is the easy way to monitor what is being said about you online. You “register” certain keywords and phrases with Google and Google Alerts will send you an email when there are new results with your search words and phrases. If you have a Google account, sign into it (using the blue “Sign In” button in the upper right-hand corner). If you use quotation marks around a phrase, you’ll get alerts when the search matches that exact phrase. If you don’t use quotation marks, you’ll get alerts that include the words separately. Note: You may have to tweak the alerts if you’re getting too many or too few results. Enter one search term at a time. Don’t be concerned about upper or lower case — both will be searched. If you are not logged into your Google account, you can specify the email address you want to have alert notifications sent to. How Often. You can choose to receive notifications immediately (“as it happens,” once a day, or once a week. Sources. You can choose to receive a notification depending on where your search term shows up. For example, “Automatic” covers any results found. 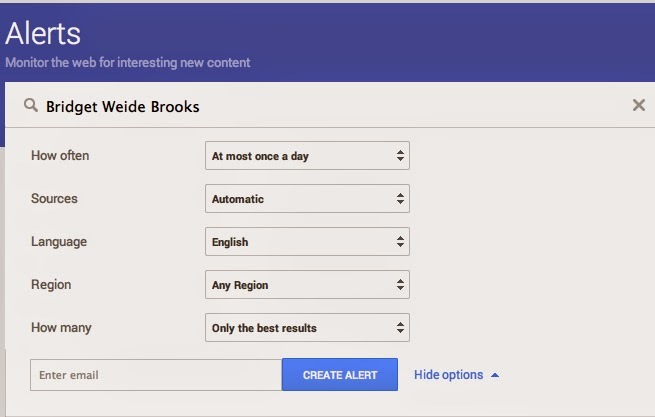 You can also narrow the alert down to notifications when your keyword phrase is found on Google News, blogs, web pages, video, books, and/or discussions. Language. Pretty self-explanatory. English is the default. Region. This refers to country. “Any region” is the default. How many. Your choices are “only the best results” or “all results.” The default is “only the best results,” but you can tweak this later if you’re not getting enough results. If you are logged into your Google alert, you’ll also be able to choose whether notification emails are sent to your Google email account, or to a RSS feed associated with your email account. If you’re logged into your Google account, once you select “Create Alert,” you will be taken to a list of the alerts you’ve already created. If you click on the “pencil” icon, you can modify the options related to that alert (i.e., change your settings). Once you set up your alerts, you’ll receive emails (or RSS Feed notifications) when results are found that match your criteria. At the bottom of the email, Google will also give you links to Delete, Create, and Manage your alerts. You may find that you have to tweak and/or test your alerts for a little while before they work the way that you want them to, but the results are worth it the first time you receive an email notification about something that you didn’t know was out there. I was talking with a resume writer recently who uses a software package to write her resumes. But one of the best things you can do to learn how to "Write Great Resumes Faster" is to become a master of Microsoft Word. Learning how to use Microsoft Word more efficiently can help you complete routine functions faster. Learning how to use Word's "Style" function can simplify the formatting process. Learning how to use "track changes" can speed up the client approval process. Even something as simple as changing the default font when you open a new Word document can save you time -- time that adds up in every resume you write. One "power" Word tip is to create a couple of "standardized" formats and layouts. Develop five or six formats you can use to guide your resume development. Starting a resume from a "template" (and by that, I mean a template YOU design, not one of the standard Microsoft Word resume templates) will help you structure your document creation because you're not starting entirely from a blank page. Think of them as "structured outlines" instead of templates. Even if you've been using Word for more than 20 years like I have, you can always learn new tricks. Look for Microsoft Word training online. There are lots of free and paid courses on Udemy. Look for ones with good reviews and a healthy number (50+) of students who have taken the course. You can even look for free YouTube video trainings. Looking for more ways to improve your speed and increase the effectiveness of the resumes you write? Check out "Write Great Resumes Faster." Yesterday's blog post focused on the content of an ATS-friendly resume. Today's post tackles design considerations for resume writers when creating a resume that is likely to go through an Applicant Tracking System. Q. How do I design an Applicant Tracking System-friendly resume? A. The easiest way to ensure the client's resume will be accepted by an ATS is to design a resume that is both ATS-friendly and human-reader ready. The two are not mutually exclusive; however, ATS-friendly resumes are formatted much more simply, while human-reader resumes may contain graphic elements that make the document easier to read and more attractive to the reader. Some applicant tracking systems can manage graphics (or simply ignore them), but since many systems can’t handle graphics of any type, it is best to omit them if you suspect an applicant tracking system may be used to handle the application. Does an ATS-friendly resume have to be boring? Not necessarily — although formatting has to be carefully considered. Format is extremely important. The employer name must appear before the date. The date should always appear to the right of the company name for optimum reading by the applicant tracking system. Dates can be included in almost any standard format — for example: November 2014, 11/2014, or Nov. 2014. Work experience sections should also include the skills used in the role (including computer software and hardware, if relevant). One nice thing about applicant tracking systems is that they are not sensitive to the length of the resume, so two or more pages are fine. However, they are sensitive to formatting issues. Open the file in Microsoft Word. Under the “File” menu, choose “Save As.” Rename the file (recommended format: LastNameJobTitle.txt) and save as “Text Only” (.txt) format. Close the Microsoft Word window. Open the .txt file in Microsoft Word. Fix any obvious formatting issues. Create section headings (if they did not previously exist in the resume). These can include “Summary,” “Work Experience,” and “Education.” Use one heading per section (do not combine “Education and Training,” for example), and include an extra return (an extra line) between sections. Use simple bullets (•) or keyboard characters (*, -, or >). Do not use dingbats or other special characters, as these will not be read properly by the ATS. Does not use fancy templates, borders, or shading. Does not contain complex formatting (condensed or expanded text) — that is, don’t use extra spaces between letters, because the ATS can’t “read” it. Include a few, clearly defined sections: Summary, Work Experience, and Education. Has been thoroughly edited and spellchecked and there are no errors. (The ATS will not recognize misspelled words). Does not include any special characters or accented words. Contains proper capitalization and punctuation. Both of these can affect how information is parsed and assigned within the ATS database. Has been customized for the position being sought. “One-size-fits-all” does not work with applicant tracking systems. Got this question in the mailbag today! Q. How do I make sure the resumes I write are ATS compatible? Applicant tracking systems fulfill two purposes: to manage applications for positions (especially where there is a high volume of applicants), and to screen out candidates who lack the required skills for the job. 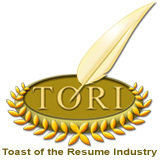 Applicant tracking systems allow companies to determine which candidates may be a match for a particular position, based on a scan of the candidate's resume by a computer program that analyzes the content of the resume and determines how well it "fits" against the description of the position, including keywords. Some applicant tracking systems also facilitate internal communication among hiring professionals — allowing those with access to the system to share applicant resumes and notes. The goal of the ATS is to help hiring managers and recruiters more easily identify candidates with the skills, education, and experience that are most desired of candidates. Just like you want the most relevant search results returned when you type a query into Google, the hiring manager doesn’t want to sift through hundreds or thousands of resumes to find the handful of people he or she really wants to talk to. When there are a large number of applicants for a position, the ATS allows the hiring manager to screen out low-ranking resumes, saving valuable time. In this instance, the applicant tracking system works a bit like your email spam filter. It separates out resumes it doesn’t feel would be relevant for the position being filled. Like a spam filter, it recognizes content that might not be important. There are no clear statistics about the number of companies using applicant tracking systems; however, it’s clear that those numbers will continue to grow as the software’s cost comes down. You might not know if the resume you're writing is going to go through an ATS, but the chances are that it probably will, so it's wise to keep that in mind when writing the resume UNLESS you know the candidate is only going to be submitting his resume to companies with fewer than 20 employees OR she is going to be giving the resume directly to the hiring manager and won't be subject to "resume screening." It helps to have an understanding of how the ATS works so you can ensure you're writing resumes that will work seamlessly with a wide variety of systems and software. Note: This post will discuss resume content; I'll write another one tomorrow that talks about resume formatting for the ATS. There are numerous different ATS software programs on the market — including a few new ones that operate “in the cloud” — and all applicant tracking systems are slightly different. However, they all work in a similar way, by allowing for filtering, management, and analysis of candidates for a particular job opening. Applicant tracking systems “parse” the information in the resumes submitted, pulling them apart and placing information in specific fields within the ATS database, such as work experience, education, contact data, etc. The system then analyzes the extracted information for criteria relevant to the position being filled — such as number of years of experience or particular skills. Then, it assigns each resume a score, giving the candidate a ranking compared to other applicants so recruiters and hiring managers can identify candidates who are the “best fit” for the job. Appearance of a keyword or phrase — this can be measured by its presence in the document at all — as well as the number of times the keyword or phrase appears. The higher the resume ranking, the more likely the application will end up being reviewed by a human reader. Success in navigating an applicant tracking system isn’t simply about the volume of keywords and phrases — it’s the right keywords — and, in particular, how unique those keywords are. Most jobseekers include the “obvious” keywords, but many applicant tracking systems put value on related keywords, not those specific terms. Applicant tracking systems see some keywords and phrases as more “valuable” than others. Many systems also allow the hiring manager or recruiter to “weight” criteria — applying greater significance to certain terms or qualifications. Hiring managers can also apply filters to further refine the candidate pool — for example, geographic or educational criteria. They can also specify keywords as either “desired” or “required,” which affects rankings. Resume effectiveness goes beyond the ATS, however. Once your client's resume pops up in the ATS search results, it needs to reflect what the recruiter or hiring manager expects from a candidate with the qualifications they desire. For resumes analyzed by an ATS, it is important to include as much relevant information as possible. Inadvertent omission of key data can be the difference between having your client's resume appear in a list of candidates meeting search criteria — and not making the cut. For example, if the client is pursuing a degree or certification, it should be included in the client's resume (labeling it as “in progress” or “pending completion”), because a hiring manager may search for a specific type of degree or keywords contained in an area of study. If the missing information is keyword-rich (i.e., a relevant job, educational credential, or certification), that can negatively impact the resume's rating — and, therefore, the likelihood of him or her being selected for an interview. Also look for synonyms to the keywords you identify. In tomorrow's blog post, I'll address the importance of formatting the resume correctly to comply with the ATS software. Are You Ready for "Dead Week"? If you're friends with me on Facebook, you know that I have many nieces and nephews. So today's blog post references a topic that was discussed quite heavily over the past few weeks among my high school-aged nieces. If you remember back to high school -- and college -- you'll remember that the week before Finals was referred to as "dead week." That was the week when teachers were supposed to "lighten the load," allowing students to cram in extra studying for the upcoming semester-ending tests, rather than focusing on daily homework assignments or short projects. Before January 1 rolls around, why not take the week leading up to the New Year and focus on preparing your business for your best year yet? From Christmas until New Year's Day is often a slow time for resume writers -- either because you've intentionally closed your business, or because prospective clients are focused on their own families and festivities. 1. Create an irresistible opt-in. One of the best ways to attract prospects, turn browsers into buyers, and/or thank clients is to give them valuable content that will help them in their job search. That can be an ebook or special report, video or teleseminar recording or even a short course. Creating your opt-in can take as little as an hour, if you start with Pass-Along Materials content. 2. Launch that membership site you've been thinking about. Whether you've been thinking about a micro-continuity site (small monthly fee with ongoing resources), a fixed-term membership site (defined content that runs for a specific time period), or a recurring membership program, now's the time to get it going. 3. Schedule your social media. Social media sites -- like Twitter, Facebook, Instagram, Pinterest, and LinkedIn -- can be a great way to cultivate prospective clients. But it can be tough to find the time to create content to post on social media when you're busy serving clients. I suggest pre-scheduling your content using a site like Hootsuite (free for up to 3 social media accounts) -- with or without the help of a virtual assistant. Looking for ready-to-go social media content? Purchase my "Tweetable Tips" bundle, which includes "Job Search Advice: 365+ Ready-To-Go Tweets and Facebook Posts," "Career Checklists: 100 Tips for Success In Your Job Search" and "Positive Encouragement for Jobseekers." Available for a limited time at the sale price of $17 (regularly $27; a $60 value), this bundle offers enough social media content for a full year. You know what they say: "If you want something done, give it to a busy person." With that in mind, although I know you've got a lot to do holiday-wise in the next nine days, I'd still urge you to see if you can cross one of these three tasks off your list before the new year rolls around. Share a comment below if you'll take the challenge! Have you ever looked at your to-do list and thought, “I don’t even know where to begin”? We all have. But here’s something you may not know: We get overwhelmed not because there are too many things on that list, but because what’s on your list is not actionable. For example, if your to-do list says something like, “New website,” you’re setting yourself up for failure. A new website is not something you can just do. A new website is a project, not a “to-do.” It requires several steps to complete, and likely several days or weeks of time. When it appears on your to-do list, it’s destined to be the thing that gets pushed back to tomorrow. And the next day. And the next day. Because it’s just not doable. The key to getting more done? Recognize those overwhelming projects and turn them into doable tasks instead. A project or a goal is a set of related tasks that cannot be completed all at one time. You probably can’t sit down and build a new website in an afternoon. You can’t write a book in a day or two. So when your goal is big, such as developing a new website or writing a book or creating a new ecourse, it helps to break those projects down into small, actionable tasks before adding them to your to-do list. Think about the actual steps that need to happen to reach your goal. Do you need to order a book cover or outline the content or contact someone for an interview? Those are all things that fit on your to-do list. Put them together in the correct order, and you’ve got a project. Complete them one at a time, on time, and you’ve completed your goal by your deadline. 1. List out all the tasks that must be completed before you can say you’ve reached your goal or finished your project. 2. Consider how long it might take to complete each task. Some will take minutes, others might take several hours or even a whole day, but you should be able to “ballpark it” to figure out just how long your goal will take to reach. 3. Grab your calendar and start making notes about what task will be completed by which dates. This will help you set a realistic goal for the entire project. 4. Add only the actionable steps to your current to-do list. Tasks that you can’t do yet don’t belong on your list, just as the goal itself doesn’t. These things aren’t actionable (yet) so don’t clutter up your space and head with them. Breaking a big goal down into bite-sized chunks is a great way to get focused and get more done. When you’re only worried about the next small step, it’s much easier to continue on the path than when you’re constantly looking at the horizon and not seeing much progress. As resume writers, we're used to meeting deadlines for client resume projects. But how do we do when it comes to our own projects — especially our marketing projects? In your resume writing business, your clients are depending on you to get things done in a timely manner, and if you don’t perform, you won’t be in business long. But when it comes to non client-related tasks, deadlines are a bit more flexible. Sure, you can put on your calendar that you’ll have that new ebook written by Friday, but with no real consequence to face if you don’t finish, what’s to keep you motivated? Try these tricks to help turn those arbitrary dates into non-negotiable time limits. 1. Share with others. Tell your blog readers and social media followers about your upcoming ebook. Let them know when it will be available for sale. Now if you don’t get it done, you’ll have to answer to your fans. 2. Get an accountability partner. Much like a client, an accountability partner helps you set deadlines and demands results. Find another resume writer to partner up with. 3. Reward yourself for a job well done. Did you get that ebook written and released on time? Treat yourself to a well-deserved dinner out, that sweater you’ve had your eye on, or just a day off. But here’s the thing: if you don’t get the work done—no reward. You have to have self-discipline to pull this one off. 4. Make smaller deadlines. Rather than committing to writing an entire ebook by Friday, commit to a chapter by tomorrow. Then another the day after that. By breaking down your big goal into much smaller chunks, you’ll not only be more likely to complete the big task, but it will be much easier to meet the individual deadlines. 5. Get help. If you consistently have trouble meeting your own deadlines, then it might be time to bring in outside help. 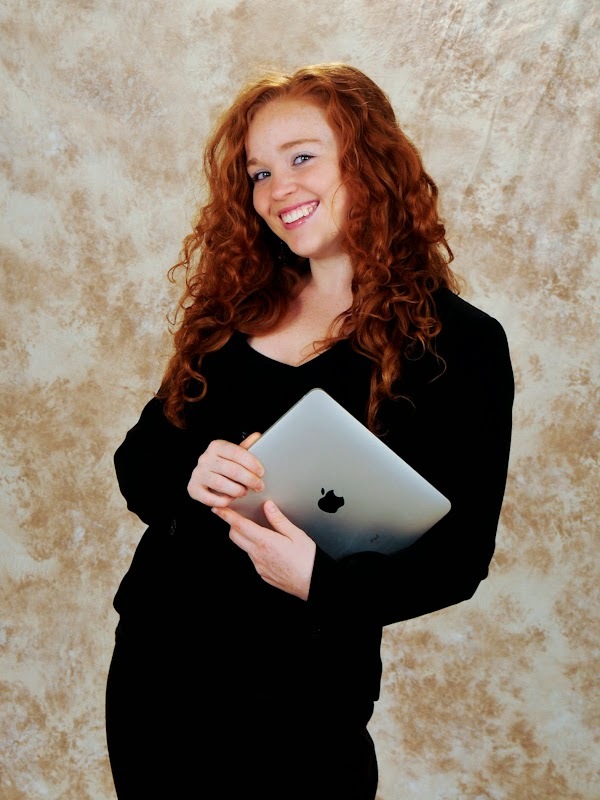 A ghostwriter or virtual assistant can help you create that ebook in no time. 6. Try negative reinforcement. Make missing your deadlines painful, and you’ll find it much easier to stay motivated. You might try vowing to donate $100 to a charity for every day you’re late, or offer to pay 10 friends $20 each if your project isn’t done on time. The ability to get things done on time is a valuable skill, and one that all successful resume writers have cultivated. But it’s not something that comes naturally to most of us. By using some—or all—of these tips, you’ll find that deadlines are much easier to meet. Not only that, but the added productivity will help grow your resume writing business as well. If there’s one most common mistake that holds many resume writers back, it’s this: they try to do too much. I don’t mean that they try to grow too fast or expand too far. I mean that they try to do too much on their own. They write the resumes. They update their website. They post their own social media updates. They handle the customer service problems. 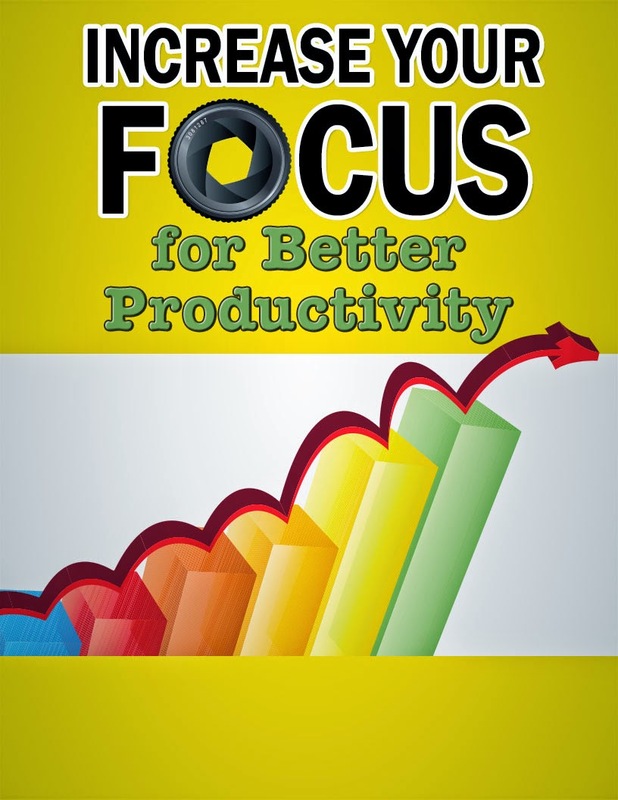 The list goes on (and on and on) and while at first glance it might seem like the DIY approach makes good fiscal sense, the truth is, it’s killing your productivity. Here’s why: You’re spending more time “figuring out” how to do all those things, and not enough time where you really shine. If writing resumes is where your talents lie, then video editing is a waste of your time. If you’re a top-notch LinkedIn profile writer, then updating your own website is taking you away from that important money-making task. Here’s another problem with trying to do everything yourself—you will hate it. And that which we hate, we avoid. Suddenly, things are slipping through the cracks. You don't write your ebook because you don't know how to design a cover or format it. You don't start an email list because you don't have a landing page. The key to really getting things done in your resume writing business is to know where your strengths and weaknesses lie, and to only do those things that you are good at and enjoy. Everything else can be handled by someone else. For example, you might really hate to update Quickbooks, so that might be something to outsource. You don’t have to outsource everything in your resume writing business, but you’ll find that when you concentrate on what you do well and let go of the things you struggle with, you’ll love your business a lot more, and be naturally more productive, too. Want to know what’s really holding you back from achieving your goals? Clutter. I’m not talking about piles of paper on your desk or stacks of business cards you never got around to organizing — although that can be a problem, too. In this case, though, we’re talking about the clutter in your head. You know, that endless list of things that scrolls through your mind continually, and that distracts you just when you’re trying to focus. That’s the kind of clutter that’s really holding you back, and we all have it. But the good news is, it’s easier to clean up than those piles of paper are. And the way we’re going to do it is with a brain dump. Set aside 30 to 60 minutes of uninterrupted time. It’s important that you have a quiet place with no distractions—either internal or external—to derail the process, so plan a time when the kids are at school and you don’t have clients calling you. Grab your list-writing tool of choice. This can be digital or physical, so whether you prefer Evernote, a Moleskine notebook, or a stack of index cards, it’s entirely up to you. Make sure you have pencils and/or pens, too. Organize. Once you’ve got everything out of your head and down on paper, it’s time to bring some order to the chaos. Reorganize your list according to project, then order your projects by priority, and finally order the tasks within your projects in their logical order. Fill in the blanks where necessary. Transfer to a trusted system. Your brain dump will do you no good at all if you still feel the need to keep stuff in your head, so this step is critical to your success. Whether your to-do lists are on paper or electronic, you must transfer your newly organized brain dump into a system you trust and use. I use Evernote and Wunderlist. Use whatever system works best for you. Finally, it’s time to get to work. And if you find yourself struggling again or not getting things done, that means it’s time to schedule another brain dump. Doing so regularly will help you continue to move forward toward your goals and get the work done. 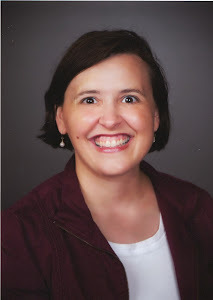 Q&A: "I'm Overwhelmed With All The Resources I Got From BeAResumeWriter.com"
Today's blog post answers a reader question! Q. I do appreciate all the work you do and the information is awesome, just overwhelming getting so many emails from one membership (BeAResumeWriter.com). Can you give me some thoughts on how I can manage this? Are all the information you send domiciled on the website? You don't have to take advantage of all the information! But I can help with the "remembering that it is there when I need it" part of things! I recommend that you create three folders on your hard drive: BARW Special Reports, BARW PAMs, BARW Learning. Each month, when you get the notification of your special report, save it to the BARW Special Reports folder. If you have time, read the report when you get it (assuming it's a topic you're interested in at the time). Most of the special reports will take you 10-15 minutes to read. I find that some of my reports are ones that resume writers like to "come back to" when they have a need. For example, if you're not ready to incorporate passive income into your resume writing business (selling information products, affiliate marketing, etc. ), just save them to your computer and then when you are ready, you'll have them there. When you get each month's Pass-Along Materials content, save it to the BARW PAMs folder. But these are more "actionable" items. These are designed to be something you can put to work for you to help your clients, so I recommend doing something with them right away. Yes, this is done-for-you content that you can put your name on and either give away to clients/prospects/the public or sell! It can be as simple as writing a blog post using the content, or pulling out 3-7 tips and scheduling them as social media content (I use Hootsuite to do this -- the free level account allows you to connect up to 5 social media profiles and schedule content in advance). OR, if it's a topic guide (like September's PAM on conducting a confidential job search), you can take 10 minutes and turn in into a short report to help your clients, or customize it more and turn it into something you sell (creative passive income for your business!). The PAMs are literally things that I use every day with my clients. They're great for giving stuck/lost/confused clients a little extra boost in an area where they might need help. 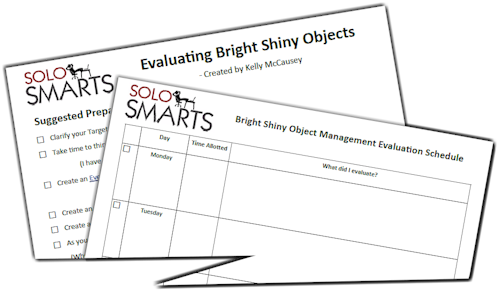 So if you take 15 minutes to personalize them and get them ready to use when you first get them, they'll be a resource you can use over and over again. As for the BARW Learning folder, that's where you can download the teleseminar recordings and transcripts, and back issues of the Resume Writers' Digest newsletter to listen to and/or read whenever you have extra time. Some resume writers put the MP3s on their iPods and listen to them when they're in the car, or exercising. Or print out the transcripts or back issues and put them in the bathroom or on your bedside table. Or keep a couple in the car for when you're waiting for someone, or going to an appointment where you'll have to wait. Like I said, though, don't be overwhelmed! Each month, there are only 2 things you need to do something with -- the Special Report and Pass-Along Materials -- the rest of the stuff will stay in the Bronze membership section for you to access at any time (as long as your Bronze membership is active). And you don't actually have to DO anything with them ... just download them to your computer for later, if that's all you have time for! Here are six strategies to implement on your website to keep people interested — and coming back! #1 Blog. 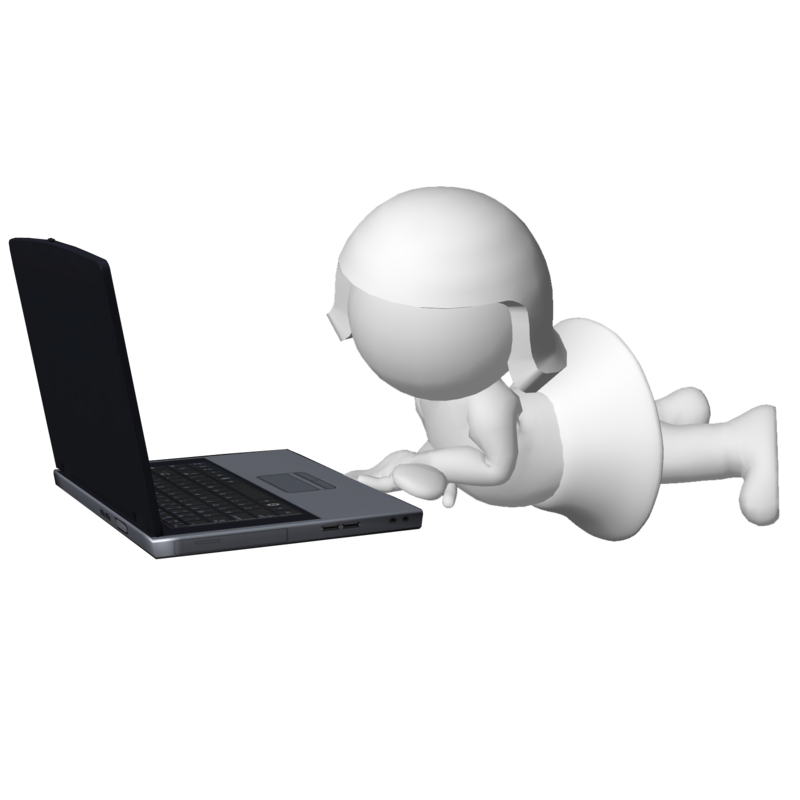 Blog comments are a way for people to be interactive on your website. Of course, you'll have to offer regular and valuable content and youíll want to inspire conversation. This can be done by asking a question, stirring the pot with a little controversy, or by offering valuable content people feel compelled to thank you for and comment on. #2 Let them promote you! Digg, Twitter and other sites let readers, fans, and prospects promote your posts and content. Use "social share" buttons on your website that make it easy for visitors to do this. #3 Sponsor contests or sweepstakes. There is nothing more fun than winning something and people love to enter contests. Whether it's a sweepstakes where the item is won via a drawing or a contest where skills are required, winning is fun and a great way to get people involved. #5 Ask for feedback. Want to know what your prospect's most pressing concerns are? What they need, want, hope for and desire? Ask them. It's a great way to research your target audience and a great way to stimulate a little website interactivity. Interactivity is a fantastic way to build trust with prospective clients so they become customers. Loyal customers and prospects boost awareness, word of mouth communication, and your bottom line. Implement a few of these interactivity-boosting strategies today! I'm always looking for opportunities to learn — especially marketing strategies for career industry professionals — so I was happy to see that Debra Ann Matthews was presenting a teleseminar for the National Resume Writer's Association (NRWA). While some of the strategies will already be familiar to experienced resume writers, she shared a couple of surprising tips. For example, #8: Share who you are with your colleagues. Did you know that other resume writers can be a GREAT source of clients for you? But that's only possible if they know who you are, and who you serve. "You must understand what you have that is valuable." via @Letmewriteit4u on her @TheNRWA teleseminar. Debra Ann is also a strong believer in using public relations/media relations to increase your profile, attract the attention of prospective clients, and justify your value to clients. 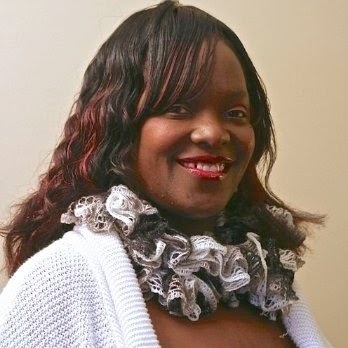 Like me, she advocates using strategies like article writing, podcasting, radio and television interviews, sending news releases, and subscribing to services like Help A Reporter Out (HARO) to take advantage of media opportunities. Q&A: Will Jobseekers Be Thrown Off If They See This? I occasionally share the answers to questions I'm asked. Today's is about BeAResumeWriter Pass-Along Materials. With millions of jobseekers out there, the chances that they will see the same content on more than one site is low ... HOWEVER, you have control over what you do with the Pass-Along Materials to differentiate them. Second, rewrite the content as much as you feel comfortable -- certainly the first two paragraphs. Third, change the format! You can break up the PAMs into different formats -- excerpt into a short article or blog post, record as audio or video, make into a checklist/tip guide, or use as social media content. 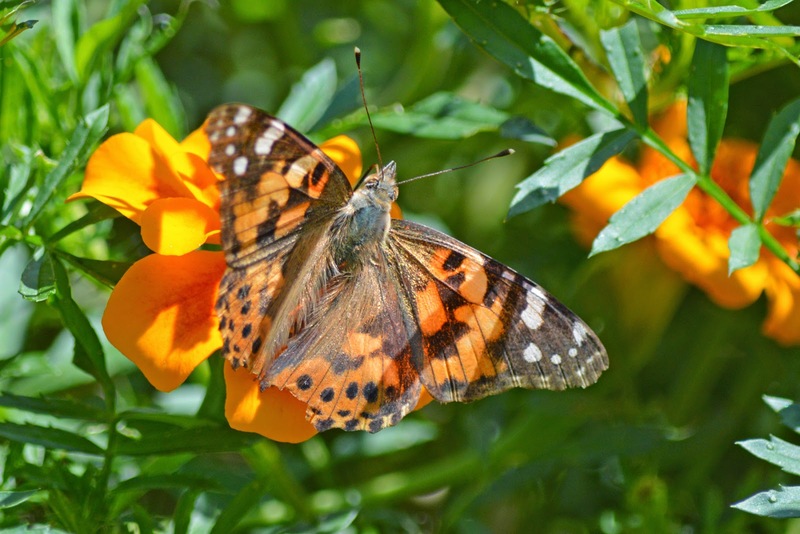 You'd be amazed -- do ANY ONE of those things and it will become almost unrecognizable. (I'll be reading along a colleague's blog post and think "hmm, that sounds familiar," but it isn't unless I do a search of the PAM that I realize it was actually content I wrote! There are more than 4,000 resume writers worldwide, and most of the PAM packages have been purchased by fewer than 250 resume writers, so the chances of the same content being seen by the same jobseeker is very low. And I would hate for you to keep from sharing information with jobseekers because you're afraid that they will see the same information somewhere else. The better chance is that they need the information but aren't getting it from anywhere. 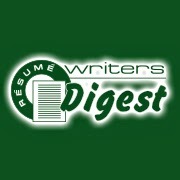 If you're still concerned about it, rather than NOT doing something with it, you can feel free to put *my* name on it and a statement that the information is provided by "Resume Writers' Digest, a trade newsletter for professional resume writers" and then put "edited by (Your Name). But you can really put your own name on it, especially if you use one of the three "transformation" strategies listed above. Have You Heard of the App "Coffee"? Have you heard of this app? Had any clients try it? What do you think of it?